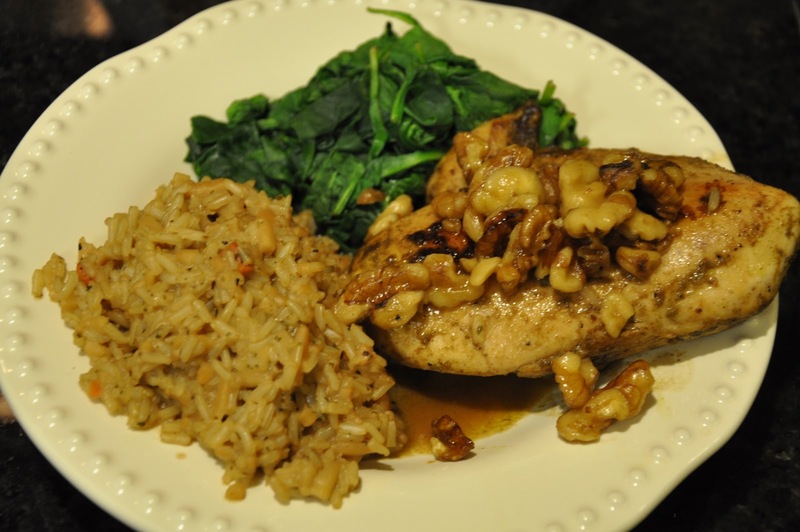 Last night, we tried the Maple Walnut Chicken from my DBA cookbook and it was incredible! Hope you have a lovely Thursday! 2. In nonstick skillet, toast walnuts on medium 4-6 minutes or until golden, stirring occasionally. Transfer walnuts to dish; do not remove skillet from heat. 4. To same skillet, add vinegar and cook 1 minutes, stirring. add syrup and water; simmer 6-7 minutes or until mixture has thickened, stirring occasionally. 5. Meanwhile, cook pilaf, then spinach according to package directions. 6. Stir walnuts and any chicken juices into sauce. Divide pilaf and spinach among plates. Top with chicken and spoon maple-walnut sauce all around. 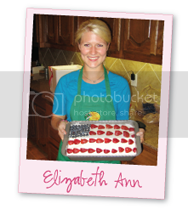 you are the most amazing wife, all these yummy recipes for your hubs!!!! We're going to a local Maple Harvest Festival next weekend, and I'm bookmarking this recipe to make when we get home. Yum! Yay! I have been trying to find a good recipe to use the rest of my walnuts I have left over from a baking project. Thanks! !